FOR SINGLE DAY CAMP PROGRAMS. 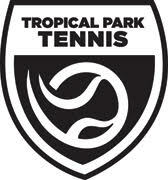 The Tropical Park Tennis Center has 12 lighted tennis courts and 8 lighted outdoor racquetball courts available for use. We are located just off the Palmetto with park access available on Bird Road (40 street) and Miller Drive (56 street). Reservations can be made by calling or texting 786-205-1006. Please wait for a response on court availability if you are leaving a voicemail or text message. A staff member will respond to you promptly.